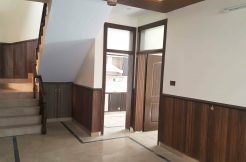 Bungalow required for office at Shahbaz Town or at Jinnah Town Quetta. Want to rent House to a Multinational or National Company providing good rent while taking care of your house maintenance? House is required for rent for a standard company with well organized staff. Geographical location: Shahbaz town to Jinnah town. Note: Only Owners of houses and property dealers call, 3rd party involvement won’t be entertained. 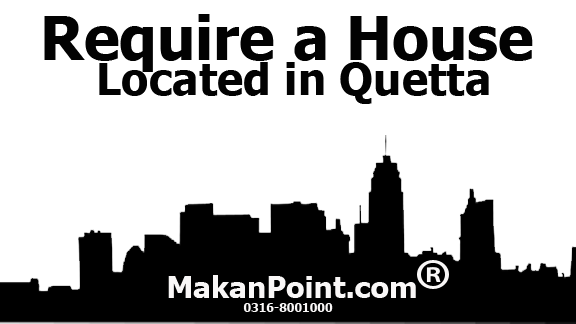 Checkout more house for rent in Quetta. Tenant must be well managed and organized entity that never poses any such act that can provide any damage to my house. We requires a tenant who can provide some part of rental amount in advance in-terms of rental deposit. A proper rental agreement must be written between the parties and the tenant must act upon the agreement without hesitation. We require a tenant who can provide rent on time without calling them 3 or 4 times for rent. Our tenant must take care of small repairs to be occurred in that particular time period for which he holds the rental property. We require a legal firm or a registered organization or company for our house who never involves in any illegal acts. Any illegal act within the premises of property rented to the organization can end as breech of agreement. Renter will require the rent for the overall rented time spam, if there was any breech of agreement by the tenant. The organization must carry their own security guards for renter’s property that they had rented for a particular time spam. If the tenant requires to extend the agreement they must let the tenant know at least one month before, so that we can get another tenant.